The Coastal Bend of Texas is one of the premier places to live and recreate in Texas. With miles of beaches, pristine waters teeming with aquatic life, areas designated by the EPA as essential fish habitats, and home to more than 400 resident and migratory bird populations including threatened and endangered species like the whooping crane, the Coastal Bend attracts new residents and visitors from all around the world. The quality of life in the Coastal Bend now faces its greatest challenge. It has been targeted as fertile ground for an industrial build-out that will impact the entire region. 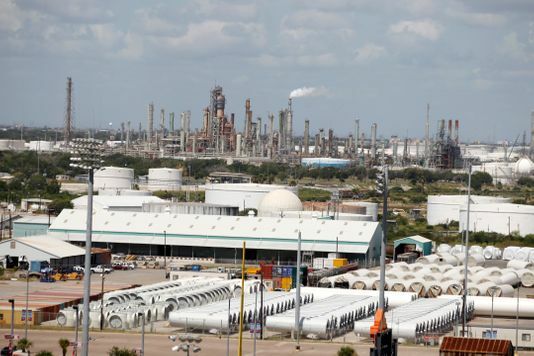 The Port of Corpus Christi Authority, Regional Economic Development Corporations (EDCs), and industry are engaged in an unprecedented expansion that includes the construction of massive new industrial and maritime complexes, dredging deep channels in the bay, and building seawater desalination facilities to accommodate industry’s thirst for freshwater as the amount of water required by the petrochemical industry to operate is staggering. Emitting millions of tons of greenhouse gases and thousands of tons of harmful contaminants into our air, these new industries threaten the health of residents, particularly the elderly and children. Billions of gallons of contaminated industrial wastewater will be discharged into our waterways. This rapid, unfettered, and reckless activity will have an unprecedented impact on the delicate ecosystems in the Coastal Bend area of Texas. It ignores the combined effects of these efforts on the quality of the air we breathe, the impacts of deep channel dredging and brine plumes on our wetlands, estuaries and bays, and the proliferation of plastic pellets that will have killing effects on our birds and aquatic life. The danger of this massive expansion to our environment is not receiving the attention it deserves. Many have bought in without understanding the collective consequences to the quality of life we have known for so long. To meet this challenge and protect our environment, a number of individuals, grass roots initiatives and local chapters of state and national organizations have come together to form the Coastal Alliance to Protect our Environment (CAPE). We are profoundly concerned the uncontrolled quest for growth and profit is an ecological disaster in the making. Individual members of this Alliance come from all walks of life. Alliance organizations are newly formed grassroots groups, and longstanding allies of the environment and wildlife. Each individual, group or organization has his, her or its own focus. It may be the air we breathe and the health of a loved one; recreational and sport fishing; commercial fishing; greenhouse gases; water supply; effluent in the bays; plastic pellets on the beaches; endangered species; tourism and alternative economic growth; the ecological impact and dangers of large crude oil carriers. While each will continue to have a specific focus, we all share a common concern that the current industrial build-out, land-based and maritime, presents multiple challenges that must be met. We are aligned in purpose to protect the health of our residents and our delicate and beautiful ecosystem in the Coastal Bend. Portland Citizens United, Port Aransas Conservancy, Texas Campaign for the Environment, Earthworks, Texas Environmental Justice Advocacy Services, Clean Economy Coalition, Surfrider Foundation – Texas Coastal Bend Chapter, Sierra Club, San Antonio Bay Estuarine Waterkeeper, For the Greater Good, Islander Green Team, Texas Drought Project. Errol Summerlin is a longtime resident of Portland and a member of Portland Citizens United.